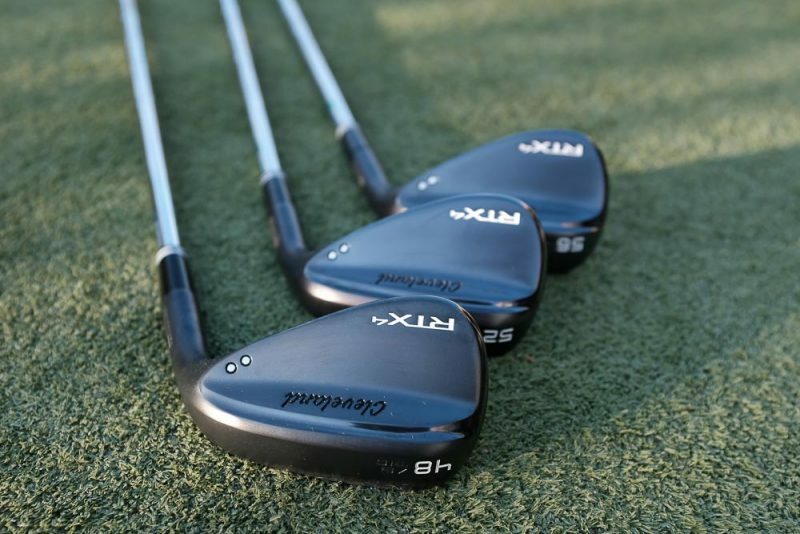 Cleveland Golf’s latest line to hit the market, the RTX4 Wedges. have a lot to live up to. For decades Cleveland golf has been synonymous with Tour-caliber golf wedges. With the new RTX4 Wedges they plan on continuing that tradition. I don’t think I know too many people who don’t have currently or at some point played a Cleveland wedge. I even have an old beat up 588 wedge that I’ve had for what seems like forever. It’s one of those “I just can’t let it go” clubs in my arsenal. There is no doubt; they make great wedges, it’s what we’ve all come to expect from someone with such a rich history as Roger Cleveland. Last year, we reviewed the RTX3. JT crushed it with his review, and ever since then, I’ve been intrigued by Cleveland. Once I found out the new RTX4 wedges were being released, I reached out right away to our contact to see if a review was in our future. Much to my delight a few weeks later this beautiful set of RTX4 Wedges, in the Black Satin finish, showed up at HQ. Cleveland had success with RTX3 line. However, there were some rumblings that they were a “Game Improvement” wedge. With the other clubs Cleveland released around the same time, it was easy to see why people would think that was the case. We, however, or at least JT, didn’t believe that to be exactly true. I’m not sure how much that aspect of the RTX3 release changed the vision of the RTX4 Wedges. But there is no doubt, the idea of these new clubs being a game improvement wedge have been tossed out the window. Anytime the marketing department can win over the boardroom and agree to the phrase “A Paradigm Shift” you had to know something new was coming! Before I get into my thoughts and experiences with the wedges, let’s see some of the key facts of the RTX4. And why this is a brand to consider when looking for new wedges.